Based in San Diego, CA USA, the Life Coaching Training Institute is an accredited, fully online life coach training and certification program. LCTI has a mission to equip and launch coaches who’ll be barrier removers and change agents in every part of the globe. Most life coach training programs cost $1000’s for really good reasons: overhead and live training. Additionally, we believe that starting a coaching practice should not be financially burdensome. Starting out a coaching career $1000’s in the hole isn’t feasible for our students nor is it necessary. In Jumpstart Your Coaching Practice, we actually show our students how to launch a coaching practice that nets a coach at least 90% of what they make. What sets us apart from all other coaching programs? 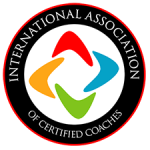 Frankly, there are a lot of amazing coach training programs out there, and that’s because coaches are extremely noble people who care about our profession and genuinely want to help others while boosting the credibility and ethics of coaching worldwide. You can learn coaching skills from a lot of places. The difference between our program and others is that our students know how to get clients. The vast majority of coaching programs are great at teaching coaching skills but stop short of showing new coaches what they must do to get clients. We don’t think that’s good enough. We don’t want our coaches to just have skills; we want them to have successful coaching practices. What meaning does possessing skills have if you don’t have clients? In 2016, we solved this trouble area for new and existing coaches by launching Jumpstart Your Coaching Practice. Jumpstart is a 20 module program that combines a 20 module business development roadmap, business development tools, online student community for roleplaying and feedback, and live weekly group mentoring by a certified, professional coach. Jumpstart is a monthly subscription program that is the A-Z of coaching practice development that covers everything from discovering your target market, finding your niche, developing your personal brand, selling, having an explosive first coaching session, answering objections, and so much more. For more information, check out: Jumpstart Your Coaching Practice. Paul Dabdoub is a speaker, writer, and entrepreneur, and a leader in religious non-profits who’s literally helped 1000’s of people take practical steps towards their future. I believe that transformed people equal transformed cities. 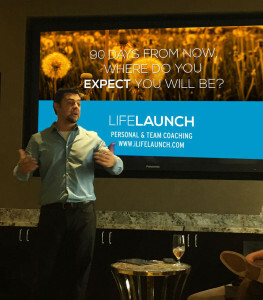 I love life coaches because their love for people gives them the ability to launch very powerful lives. In that way, I see them as life entrepreneurs. Paul is a Certified Coach through Gallup University.